The web is filled with claims that lemons are a secret weapon in the fight against fat. A quick Google search on “lemon juice diet” yields nearly 20 million results. 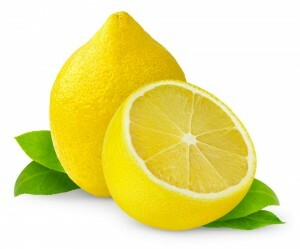 One of the more popular diet ideas is that lemons promote weight loss by helping the body get rid of fat. We all know lemons add flavor to our favorite foods and drinks, but can they really help us lose weight too? To figure out if this is a diet myth or fact, we combed the latest scientific literature to uncover the truth! While these findings are interesting, they don’t entirely support the idea that lemons help us lose weight. This study looked at exercise performance as an outcome instead of weight loss, which means the results of the study cannot be generalized into a strand alone strategy for weight reduction. Currently, there is no strong evidence to show that lemons or vitamin C impact weight loss, and more research is needed to fully understand vitamin C’s role in fat oxidation and its relationship to body composition. Other studies suggest that certain compounds in lemons, called polyphenols, might prevent weight gain in animals, however these studies are preliminary. In one study from the Journal of Clinical Biochemistry and Nutrition, researchers found that weight gain was suppressed in rats that were fed a high fat diet when it was supplemented with lemons. They attributed this finding to the polyphenols increasing how fat is broken down for energy.2 Since these effects have not been studied in humans and researchers do not fully understand the relationship between polyphenol compounds and fat metabolism, no definitive claims can be made for humans. Still, you shouldn’t toss out your lemons! There are other good reasons for keeping them in your diet. Although lemons might not be a magic bullet for weight loss, there are other ways they can be a dieter’s friend. Lemons are incredibly flavorful and naturally low in calories. They can be added to recipes and drinks to maximize flavor while minimizing calories, fat, sugar and salt — and eliminating calorie-containing beverages is great way to help promote weight loss and overall health. Lemons might also help you stay healthy in other ways. One review from the Current Opinion of Lipidology, found that certain flavonoids in lemons and other citrus fruit may have protective effects against inflammation in the body and may also have some impact on blood pressure, cholesterol levels, and blood sugar levels.3 Though more research is needed to confirm these health benefits, it is as a good reminder of how important it is to include a variety of fruits and vegetables in our diets! The bottom line? While current research doesn’t support the idea that lemons are a magic bullet for weight loss, there is some evidence that the vitamin C in lemons plays a role in how the body metabolizes fat. And other compounds in lemons may have health benefits beyond weight loss. For lasting weight loss there’s still no quick fix. Exercise and eating a variety of healthy foods are still your best bet. 1 Johnston CS. Strategies for health weight loss: from vitamin C to the glycemic response. Journal of the American College of Nutrition. 2005 June; 24(3):158-65. 2 Fukuchi Y, Hiramitsu M, Okada M, Hayashi S, Nabeno Y, Osawa T, Naito M, Lemon polyphenols suppress diet-induced obesity by up-regulation of mRNA levels of the enzymes involved in beta-oxidation in mouse white adipose tissue. Journal of Clinical Biochemistry and Nutrition. 2008 Nov; 43(3): 201-9. doi: 10.3164/jcbn.2008066. 3 Assini JM, Mulvihill EE, Huff MW, Citrus flavonoids and lipid metabolism. Current Opinion of Lipidology. 2013 Feb; 24(1): 30-40. doi: 10.1097/MOL.0b013e32835c07fd.